au – the 4th in our "focus" series! (aa, uu, ff, au, rr, ao, rl, sp & th) Touch down to increase speed, lift off to decrease. If you loved some of our touch and hold games in the past, you'll love au. 150 Awesome levels to start it off, touch and hold to increase speed, lift off to decrease. 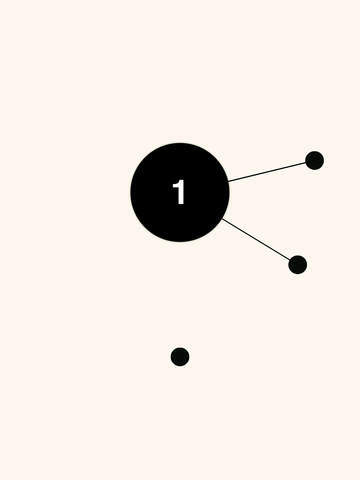 Avoid collisions to pass each level, get all the dots in safely. You can also top the leaderboard and earn medals! (bronze, silver and gold). There's 150 levels to solve right now, intertwined with all sorts of tweaks and surprises. You can also go back and replay any level you've already passed, at any time (Choose Level). If you're stuck on a really tricky level, skip it! (Tap Skip on the Fail Screen) If you can't wait, unlock all 150 levels and replay at your own pace! (Choose Level > Unlock All Levels) Thanks for all your support, I hope your enjoying our "focus" series! *** iPHONE 6/ 6PLUS USERS *** If you experience any sizing issue, try switching from "Zoomed" mode to "Standard" mode in Settings > Display & Brightness > View.